According to 1,134 runners who answered an informal survey shared over social media between July 15 and July 22, 2018*, runners generally look forward to easy runs and recovery days, don’t feel guilty about the thought of relaxing during these outings, and understand that easy runs and recovery days enhance performance. However, when it comes time to implement, more often than not, we miss the mark. Easy runs, a focal point of this casual study, build, maintain, and maximize aerobic fitness. Though the pace should be steady, we should still be able to hold a relaxed conversation and maintain a heart rate between 65% and 78% of maximum. Typically, most runs within a given week should fall into this category. The survey also asked about recovery days. The duration, intensity, and structure of a recovery day will vary according to the runner’s experience, preferences, training schedule, and individual response to tough workouts. The body does an amazing job of healing itself, but musculoskeletal and cardiovascular systems will only adapt and grow stronger if they receive the proper recovery between tough workouts and races. Recovery can be achieved by doing nothing more than performing daily tasks, using passive methods like massage or sauna, or by more active methods like, but not limited to, biking, hiking, swimming, yoga, and strength work. Recovery runs can also assist with the recuperation process between tough efforts. These are purposely short in duration, kept at a very slow pace and low effort. These ‘jogs’ are a form of active recovery where your heart rate should be kept below 65% of maximum. Now that we’ve established that easy runs and recovery days require the least amount of effort on the athlete’s part and are a recognized pillar of the training process, they should be fairly simple to execute. Yet, the majority of runners, who ought to know better, reported that they fail in their training by running easy runs too fast or too hard and/or by not incorporating enough recovery. 97% (1,101/1,133) believe that easy runs and recovery days improve performance. 81% (918/1,134) do not feel guilty about taking an easy or recovery day. Of the 19% (216/1,134) that feel guilty, 85% (181) admit to running their easy runs too hard/fast. 84% (948/1,134) look forward to their easy run and recovery days. Of these who happily anticipate their easy and recovery days, 15% (143) still feel guilty when taking a less intense day. 80% (894/1,112) consciously decide about the effort they’ll expend before beginning a run. Of this pre-planning 80%, 67% (598) make mid-run alterations in effort (harder or easier) based on how they feel on a given day. 78% (880/1,134) sometimes find themselves working harder than they should during an easy run. 68% (774/1,132) share their run data socially (for example, Strava or Garmin Connect). Of this socially-active group, 79% (611) find themselves pushing hard during easy runs. 53% (606/1,132) work with a coach or follow some sort of training plan. 86% (513) of these athletes have a purpose laid out before starting their runs. 63% (377) follow specific easy-run guidelines (like heart rate, pace, perceived effort, and/or choice of training partners) to ensure they stay within the parameters of their specific program. However, 78% (472) of coached athletes following a training plan still run their easy runs too hard/fast. 78% (883/1,124) take between one and three days easy and/or as a recovery day per week. For the entire responding group as a whole, no matter the guidelines used to keep an easy run relaxed (heart rate, pace, perceived effort, and/or training partners), resulting easy-run efforts can still end up higher than they should. Recovery days are taken most often after tough workouts, long runs, races, when fatigue sets in, or when injury niggles appear. Life’s stresses were least likely to keep the survey participants from lacing up their shoes. Here are a few suggestions and observations to keep your pace and head in check the next time you head out for an easy run or are contemplating a recovery day. Long runs aren’t easy. In his book Training for Ultrarunning, Andy Milroy states, “One important thing to remember is that your long run should be considered as a hard day, not an easy day, even though the run is tackled at an easy pace.” Distance is a relative concept and varies for each individual, however, an easy run is no longer easy when muscle vigor and glycogen storage are tested and extra recovery time is required. Hard evidence and research proves that easy runs and recovery days improve health and performance. Though most runners already know this, keep yourself up-to-date by immersing yourself in reputable reading material and podcasts. At least four respondents referenced books that improved their running, like Matt Fitzgerald’s book, 80/20 Running: Run Stronger and Race Faster By Running Slower. Others mentioned their “coaches” came in the form of magazines, like Ultrarunning, and podcasts. Though they performed poorly for effort control according to this survey, consider using a heart-rate monitor or pace calculator to keep you running true. “An easy day requires a maximum effort of no more than 70% of heart rate. A recovery day requires holding back to a maximum of 60% effort, which is deliberately relaxed,” said an athlete in the survey. No two runners respond the same way to the same training stimuli. Our ability to recover depends on genetics, age, lifestyle (including diet and sleep), environment, training history, and training structure. But, for all runners, relaxed training has its place. “There’s no shame in running slow,” says coach Brad Hudson, who coached athletes in the 2004, 2008, and 2012 Olympic Games. “Running slow allows you to run longer, and it also enables you to run harder when you want to run hard.” We all get what we want by taking it easy. *The survey can be viewed in its entirety and the comment function is live. Feel free to add your constructive observations. However, understand that the conclusions rendered above are observational (no statistically significant tests were performed) and based on a small sample size and the author’s assumptions of the responding population. Check out the full survey results. Daniels, Jack. Daniel’s Running Formula. Champaign: Human Kinetics, 2014. Print. Hudson, B. & Fitzgerald, M. Run Faster. New York: Broadway Books, 2008. Print. Magness, Steve. The Science of Running. Stephen Magness, 2014. Print. Milroy, Andy. 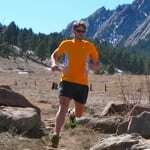 Training for Ultrarunning. Great Britain: DB Publishing, 2013. Print. Noakes, Tim. Lore of Running. Champaign: Human Kinetics, 2003. Print. Did you participate in Ian Torrence’s survey? If so, would you care to share how you answered a few of the questions? How well do you recover on your recovery days or run easy on your easy days? Do you stick to your plan well or find yourself deviating and working too hard? If the latter, why do you think that is? “Though they performed poorly for effort control according to this survey…” Does this mean that the respondents thought these tools did not lead to true easy/recovery efforts or is it that the respondents used these tools but chose to ignore the effort cues provided by such tools once they started running? What’s the best way to incorporate climbing into easy runs?